I attended AVM twice – once in middle school (2009) and once in high school (2013). I really enjoyed the broad nature of the overview of veterinary medicine that the program offered. We were given experiences in many different fields and got to interact with multiple doctors from various specialties, which made it a very memorable program as an introduction to how diverse veterinary medicine is. One of my favorite parts of the program was actually interacting with our counselors, who were mostly first year students at Tufts. Their advice for preparing for vet school was super helpful and it was great to be able to talk to students about each experience over the course of the program. I’m still in touch with a few of the counselors and they definitely were part of my inspiration for applying to the Cummings program! AVM definitely did both of these for me! 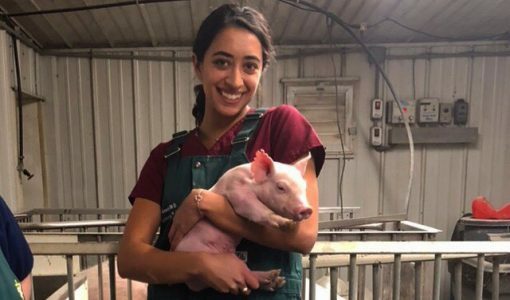 The experiences we got at the program, whether working with the Tufts animals or hearing from doctors or going on field trips, were invaluable in helping me explore how diverse veterinary medicine is and opened my eyes to fields I had never even heard of. 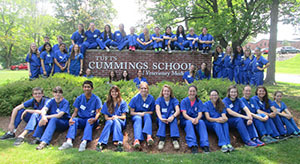 Moreover, having counselors that were actual veterinary students and could speak to us about how they prepared and why they chose Tufts was extremely helpful preparation in thinking about actually applying. Apply! It’s very worth it!